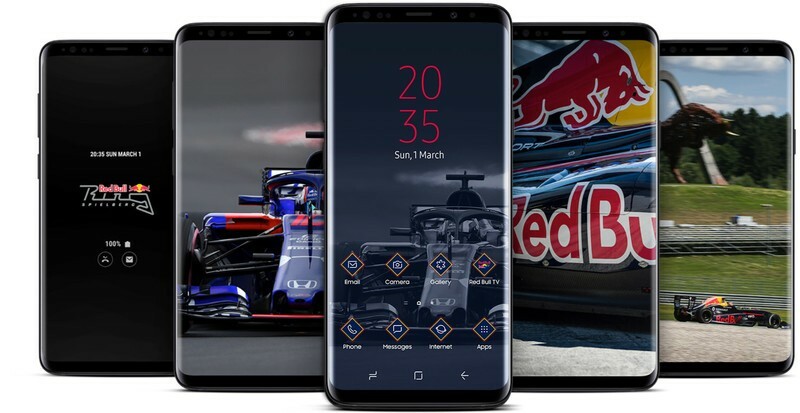 Samsung has teamed up with Red Bull Racing and Vodafone Netherlands to launch a limited edition Galaxy S9 and S9+ for Formula 1 fans. 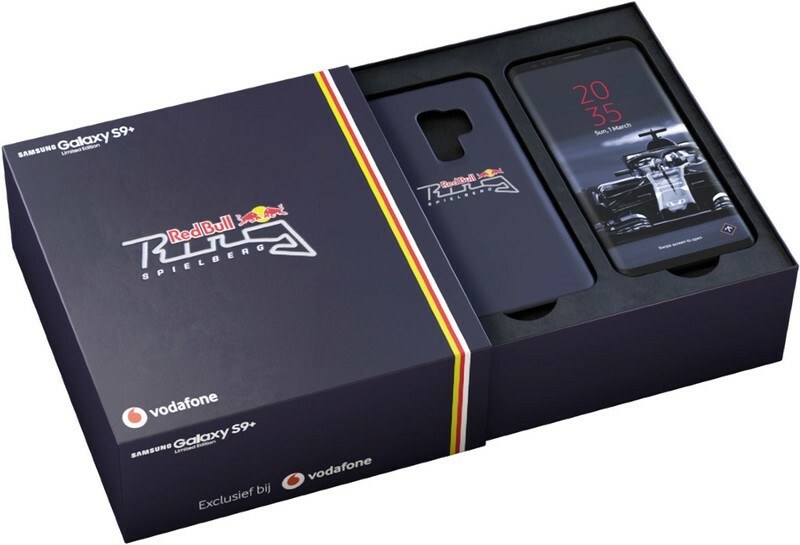 Dubbed the Red Bull Ring limited edition, the bundle includes a standard Galaxy S9/S9+ along with a custom case featuring the insignia of the team’s test track in Austria (Red Bull Ring). The bundle comes with custom packaging, and has exclusive Red Bull themes. As spotted by GSMArena, the case has an NFC chip that automatically changes the system theme to the Red Bull one as soon as you attach it to the back of the phone. You also get Grand Prix images and videos via Dutch broadcaster Ziggo Sport, as well as detailed information on all the tracks in this year’s F1 calendar. Aside from the software additions and the custom case, the phone is a standard Midnight Black variant of the Galaxy S9 or S9+. Either device is up for sale on Vodafone Netherlands, and it’s unlikely we’ll see them make their way to other markets. If you’re interested, you can pick up the Galaxy S9 Red Bull Ring edition by paying €54 ($67) down and €48 ($60) toward monthly fees, which gets you 6GB of LTE data and unlimited calls and texts. The Galaxy S9+ Red Bull Ring edition, meanwhile, is available for €126 ($156) down and monthly instalments of €51 ($63). Both devices are up for grabs until April 27, so best act fast.